In 2004, Premier Danny Williams hired veteran politico and popular radio host Bill Rowe to represent his province's interest in Ottawa. This memoir covers the eight months that Rowe served with Premier Williams during what became widely known as the Atlantic Accord Crisis and a bitter, long-lasting fued between Williams and the top brass on Parliament Hill. 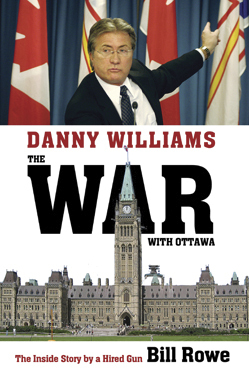 Combining high drama and hard hitting analysis of the ruthless game of federal politics with hilarious commentary on the very human side of those involved, this is the story of a defining time for Williams and his political career... and the story of a premier every Canadian came to love or hate.